Ever since the concept of online shopping began, there has been a tremendous surge in the number of international brands that have made their online stores a primary source of revenue. While the cost of maintaining a website is nowhere close to that of a large store, there are other advantages of e-commerce that make it the obvious pick – for instance, its penetration and reach. However, getting your e-commerce website up and running could be easier said than done. If you are looking for an in-house team to build it from scratch, it might take a while and also cost a considerable amount of money. However, there are several other ways in which you can get your website up and running, just as several international brands have done in the past – through Shopify. Shopify and Shopify Plus are both targeted to getting your business on the internet and availing it to a global audience, along with countless other e-commerce websites. It is not surprising that Shopify holds 10% of the market share of all global e-commerce platforms. With such pedigree and expertise, you will rest assured that your business is in good and efficient hands. Not only is the interface for the setup easy, there are also several gigantic international brands that have their websites up, all of which might serve as a fantastic prototype to model your website on. If you thought there were only a handful of industries that required online marketplaces, you were highly mistaken; this is depicted in the list of brands that use Shopify for their e-commerce activities. What’s more, most of them make a bulk of their money through this approach, thanks to exponential reach and penetration. A quick peek at some of the superstars of Shopify will give you terrific insights into product and website development. What’s more, more brands are stepping into the Shopify structure as we speak! So, let’s cut to the chase and dive right into some of the brands that have used Shopify for their e-commerce platforms. One of the most commonly-used words in the automotive industry these days is Tesla. Ever since their launch as an automotive engineering and innovation company in 2003, Tesla has made waves around the world with its electric cars that can match the performance of any sports car you like. They are certainly pioneers in their industry and their website, powered by Shopify, has a minimalistic design that allows viewers to focus on the product. 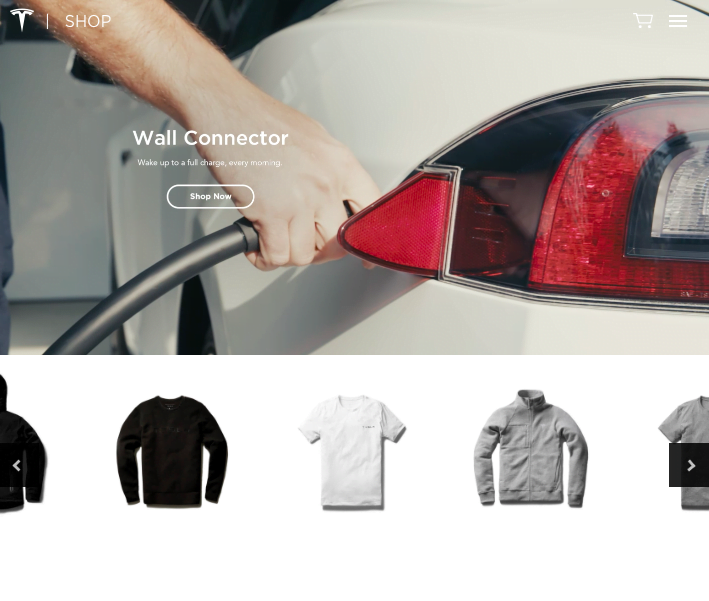 While they don’t sell their flagship cars, they sell everything related to it – including apparel – on the website now! Kylie Jenner is a superstar. She is one of the most-followed people on Instagram, and her activity on social media has often influenced the shares of international brands she endorses. Her cosmetics have held the reputation of being sold out minutes after she shares them on her social media accounts – all of which redirect traffic to her Shopify website. What’s more, her page on Shopify apparently has over 5 million visitors every month! 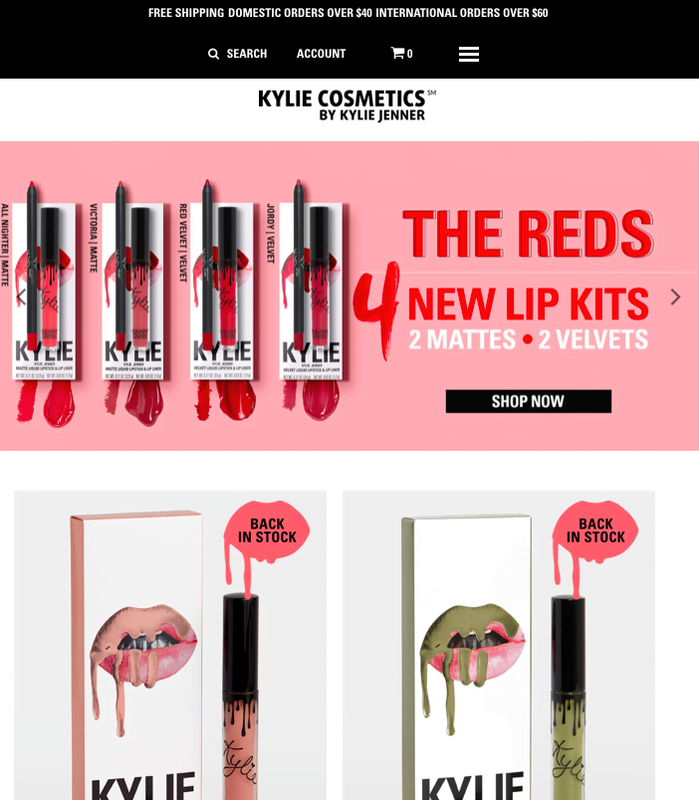 If anything, Kylie herself is a big brand and her endorsements and success show that Shopify is the right pick for those who are looking to go big! The LA Lakers are one of the most successful and well-known sports clubs in the world, perfecting their success for ages in the NBA. With millions of fans within Los Angeles and even more worldwide, the Lakers would certainly need a platform that is efficient and can handle large volumes in short spans of time, like the time when Kobe Bryant announced his retirement and his Lakers jersey was being sold all around the world via the online store. 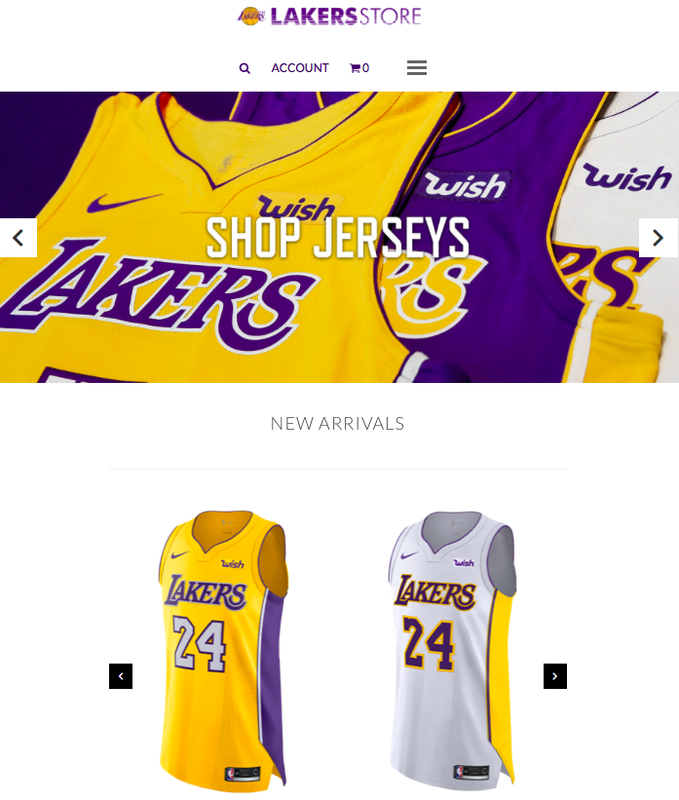 The Lakers have gone with Shopify for a reason and they have not been let down! If Shopify can handle the volume of one of the biggest fan bases in the world, they are certainly equipped to handle just about anything! Herschel Supply Co. is one of those brands that has picked up due to their novel and eye-catching designs that define today’s hipsters. This Canadian manufacturer of bags and accessories has become the rage of the town of late, and it is none other than Shopify that powers their e-commerce platform. 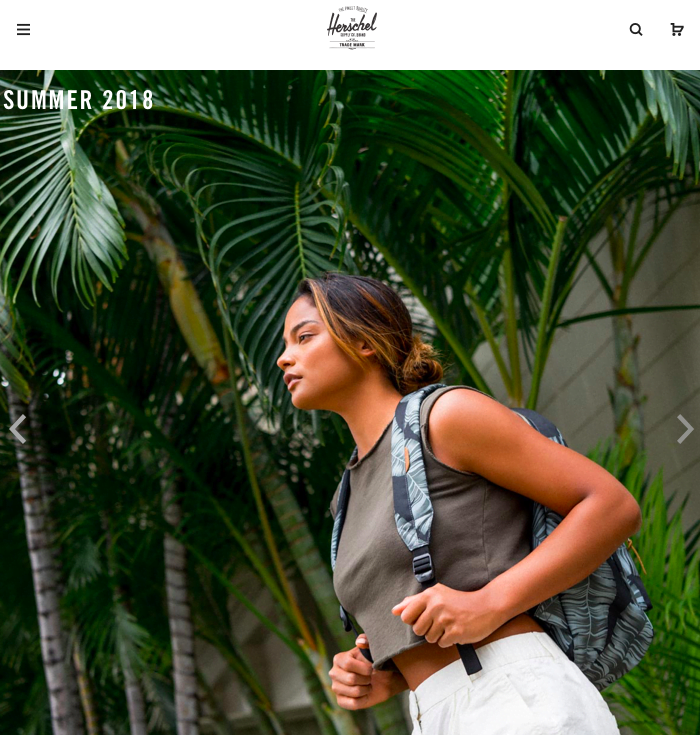 The real impact of a successful online store can be seen with Herschel, whose global marketplace has just kept on growing ever since their launch. Had it not been for this online store, it would have been much harder to grow outside of their hometown of Saskatchewan, Canada! That’s right, online marketplaces truly make the world a smaller place. The combination of a powerful online store and attractive products could be the secret to the success of just about any business. A brand that has been around for more than 150 years, Budweiser is one of the most famous beers in America, probably even in the world. 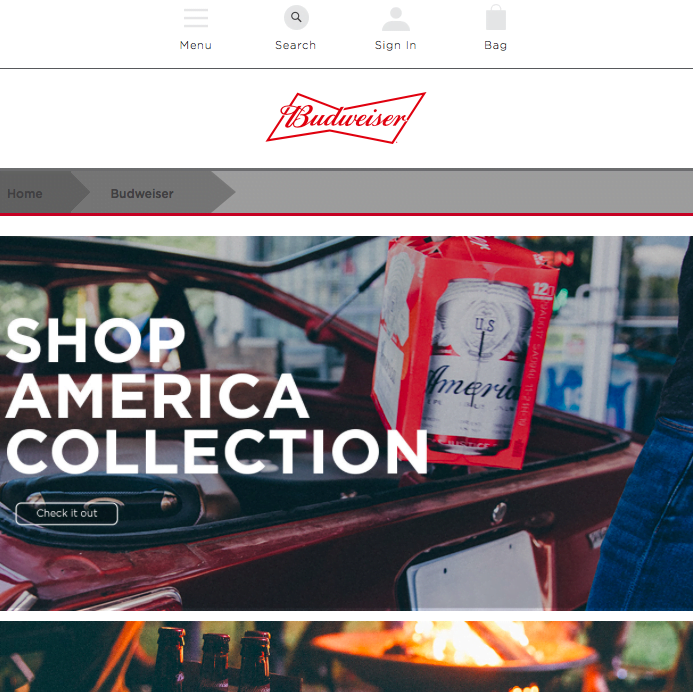 Owing to their unbeatable marketing and customer engagement, Budweiser has developed quite a brand following, all of which is reflected in the viewership on their Shopify powered website. You can buy everything from basic barware to apparel and even sports utilities on the website – quite a variety for beer-brewers! The world’s most popular energy drink is one of those brands that has dipped its feet in just about anything and everything related to adventure and performance. Be it the ownership of sports teams like the New York Red Bulls or sponsoring record-breaking feats like the highest free fall on earth, Red Bull is associated with being brave, adventurous and cool. Powered by Shopify, the Red Bull marketplace sells everything from branded merchandise of their teams to other accessories that look amazing on just about everyone. Hats, watches, shirts, backpacks, jackets and other such items can be found on the Red Bull website. The Economist is one of the most famous magazines around the world and has held on to this reputation for a few decades now. Being in print journalism ever since their launch, the Economist is one such brand that has recognized the need to branch out and keep up with global trends. As the share and reach of print journalism fall every day, brands like The Economist have come up with interactive websites with great resources available – like audiobooks and other printed material too. What’s more, the website also carries stationery and office supplies to a certain extent, making it quite a versatile website for a brand that specializes in printing content on finance and economics. One of the most recent developments in design has been the spread of multicolored print along with a revival of old designs like Aztec prints. While large fashion labels begin integrating these designs within their portfolios, there are several brands that are making big money by specializing in them, one of them being Bohemia. You can find everything from handmade designs in apparel and jewelry to artisanal specialities like baskets from around the world. You can also find homeware like pouffes, blankets, kitchenware, wool pots and other such things on the website. 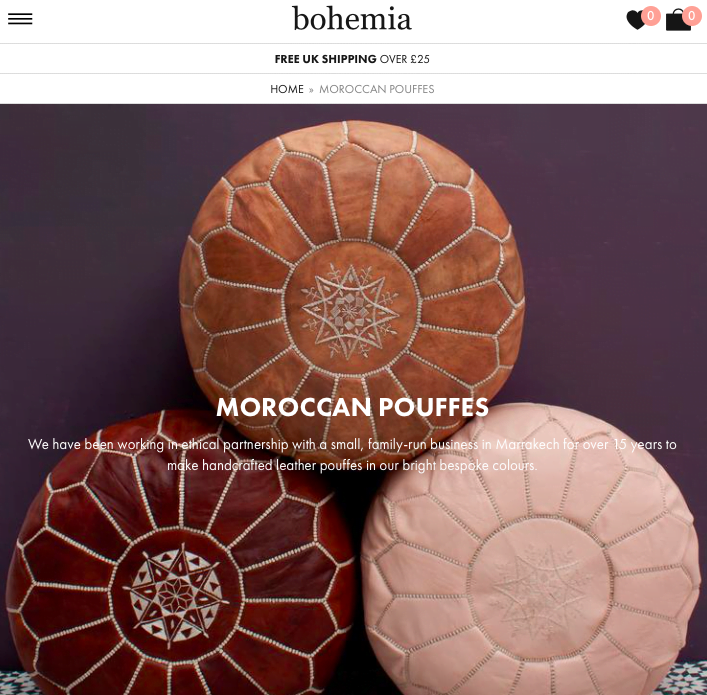 Reports suggest that ever since Bohemia moved to Shopify Plus, their sales have quadrupled! One of the biggest annual music events in the world is Lollapalooza. Artists from across the globe congregate to perform some of the most iconic numbers in the music industry every year, and it is attended by thousands of people. Being one of the most popular events in the US for a long time now, they have obviously created quite a formidable fan base. All these fans and many more use the Lollapalooza website to buy their tickets as well as merchandise and other things related to the concerts. This requires the website to handle extremely high volumes of hits in a very limited period of time. Shopify, once again, is the answer to this challenge! The Lollapalooza online store stands as another success story for Shopify. Some might not have heard of the Big Baller Brand but sports enthusiasts would certainly know it very well. In fact, they would know the history behind their name too. 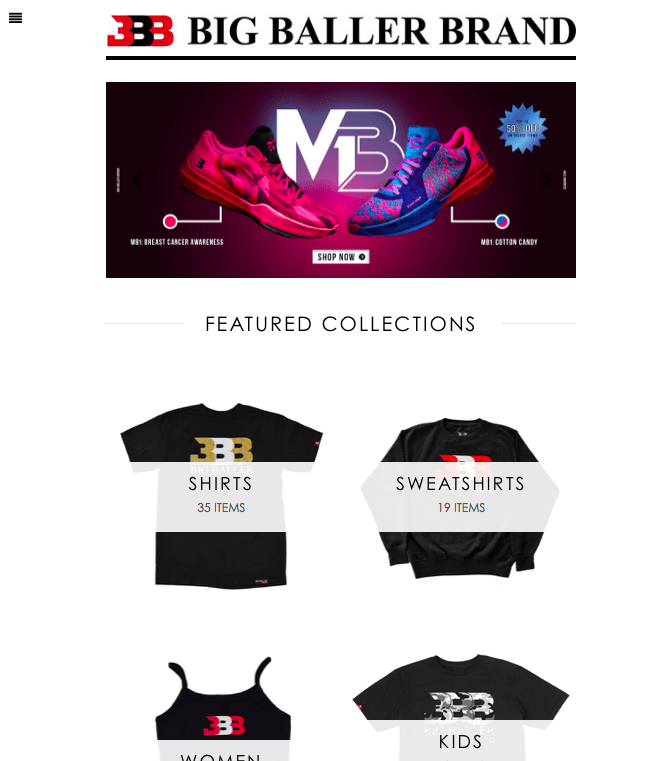 LaVar Ball, the legendary basketball player has started this range of apparel and accessories that are deeply related to basketball and fashion. They make some casual and athletic merchandise along with a fantastic collection of shoes and footwear. What makes the situation even sweeter is that LaVar’s sons are climbing the ranks in the NBA and making themselves quite the brand ambassadors in the process, creating an even greater following for the brand. Some of the best-known gym and sporting apparel in Europe is manufactured by Gymshark. Ever since gym clothing went from wearing old dri-fit clothes from the back of your closet to well-fitted and super comfortable outfits, there have been several designs that have rocked the gym world. A lot of those have come from Gymshark, including their flex series. With their commodities now being sold in over 131 countries, they certainly have some high traffic on their online store. What’s more, they have over 3 million social media followers that wait for new launches and pounce on them before they run out of stock. What started in a teenager’s garage is now a global trendsetter thanks to the tremendous reach that their products can acquire through Shopify. 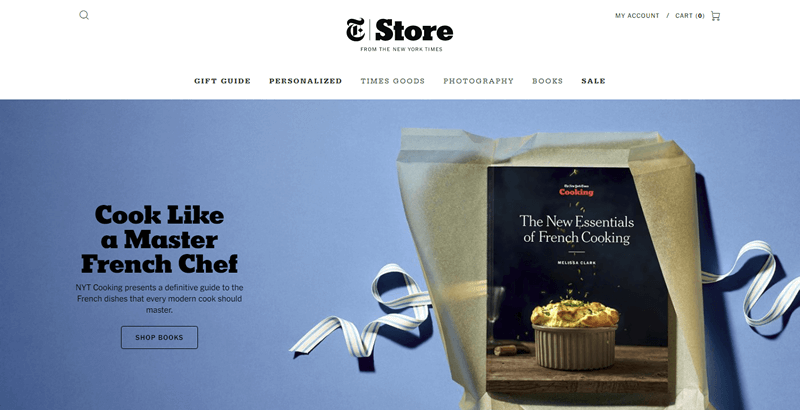 When the New York Times shifted from Magento Enterprises to Shopify Plus, it created a lot of ripples through the digital marketplace industry. It raised the value of Shopify by an overwhelming amount. It is also making the global audience understand the impact of Shopify on several industries. The seamless interface with customer-friendly designs on Shopify cannot go unnoticed. The best in any industry would greatly benefit by investing in this platform, as is shown by the reporting giants at the New York Times. The New York Times store offers fans and followers access to quite a few things like classic vintage photographs, framed reprints of over 50,000 iconic New York Times covers as well as memorabilia associated with the news outlet’s coverage. This is another example that shows the versatile nature of Shopify and how it can adapt its basic design to suit just about any product or industry that is present on the globe. 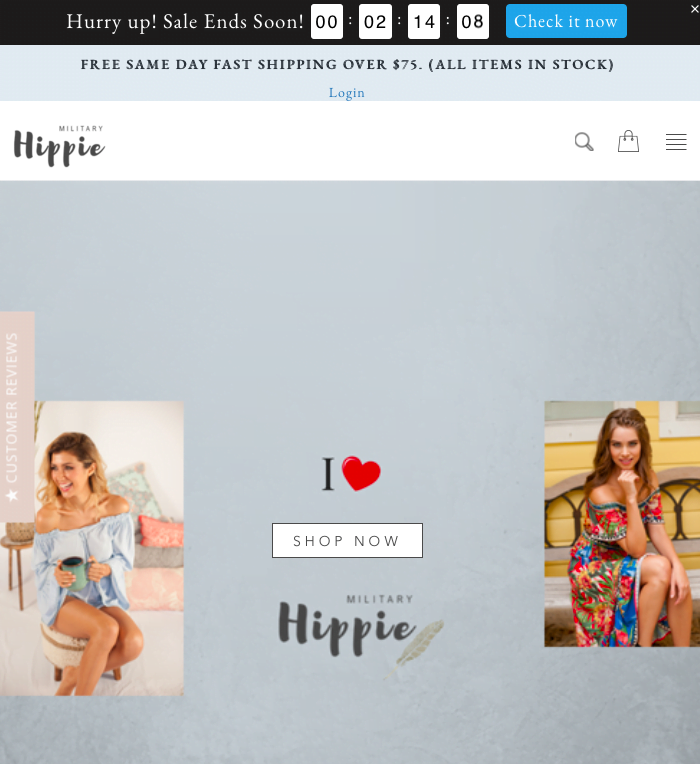 Military Hippie is one of the classic online stores that made huge money through good product design and attractive offers for their visitors. This was coupled with a product-oriented website design and a very customer-friendly approach to selling their merchandise. This is the reason why they made over $1.25 million in sales alone in the year 2016, which was followed up by $272,000 in the first week of 2017. These are staggering numbers for an upcoming website which has clearly taken the apparel industry by storm. Part of this success has to go to the website design and user interface that Shopify has perfected over time. With countless sales and clearances on the website at just about any time of the year, you will certainly not be disappointed if you make a quick stop at the Military Hippie website. This list of brands only scratches the surface; a large variety of brands from all industries now use Shopify for their e-commerce requirements. These examples serve as a model on which you can create your own e-commerce store; no matter what your business sells, there’s a similar brand with a global following that uses Shopify. What’s more, the types of brands mentioned in this list demonstrate the amazing market value Shopify holds in the e-commerce industry as a whole. This also means that you would be using a tried and tested service that will most certainly deliver the outcomes that you are looking for. Therefore, make sure you are prepared with stocks and create a product-centric and customer-friendly website through Shopify. It will certainly be the most fruitful business decision you will have ever made!